This Desk Clock in vintage style is made solid wood and plywood. Free shipping unique wooden gift will be perfect for anyone on any occasion like Xmas. 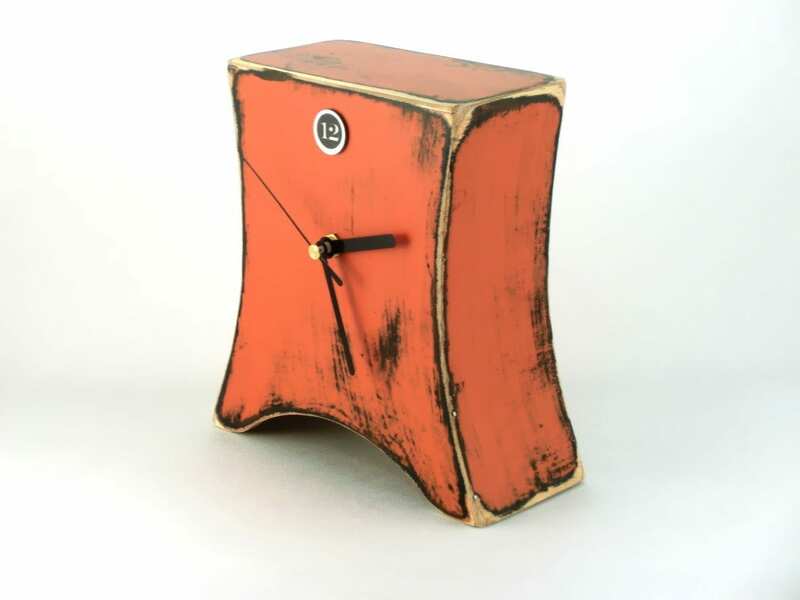 Wooden Clock is handmade and handpainted Orange is dominant color. 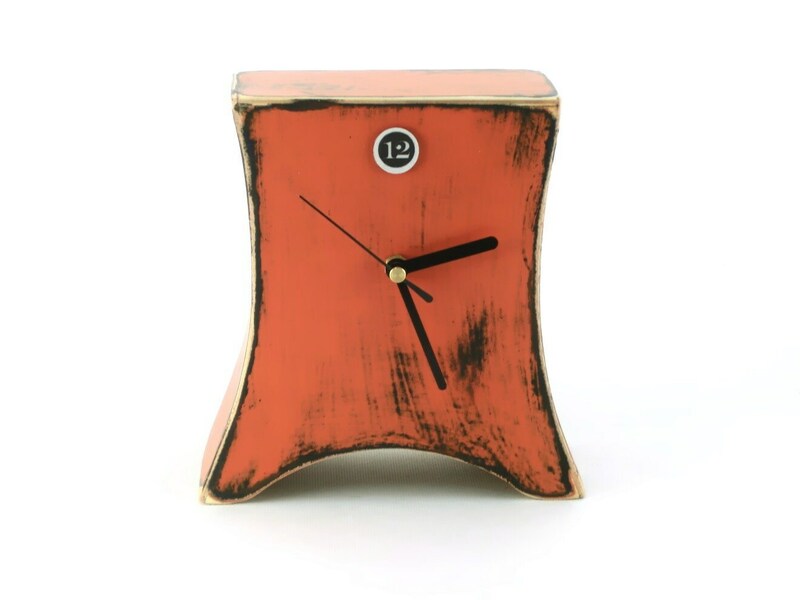 This Pumpkin Table Clock is protected ecological varnish. Great gift ideas in vintage style, Rustic Mantel clock is usefull everyday. Clock handmade and handpainted with acrylic paints, protected ecological varnish. Made from wood and plywood. 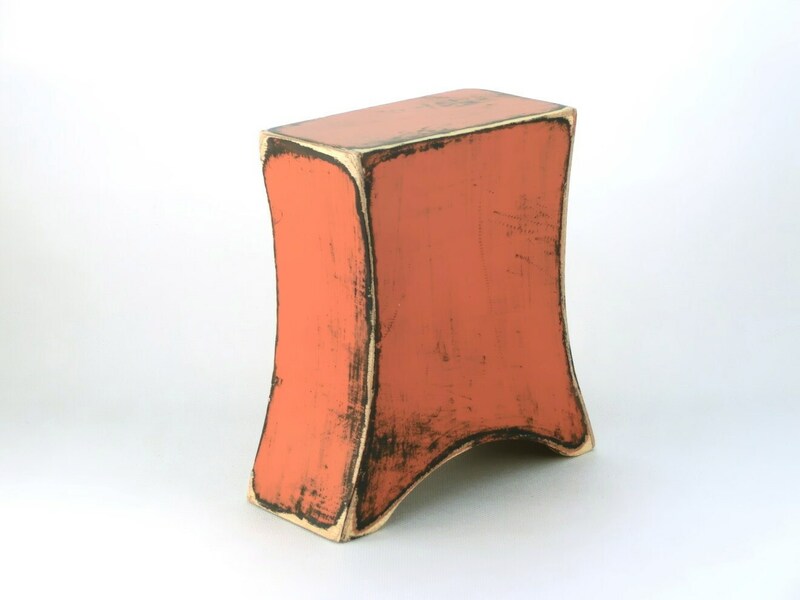 DIMENSIONS: HEIGHT, WIDTH, DEPTH /18,5 cm x 17 cm x 9,5 cm. /7,3" x 6,7" x 4"
Excellent. Love this clock so much. It takes a bit to get here from overseas but it was well worth the wait! Thank you. 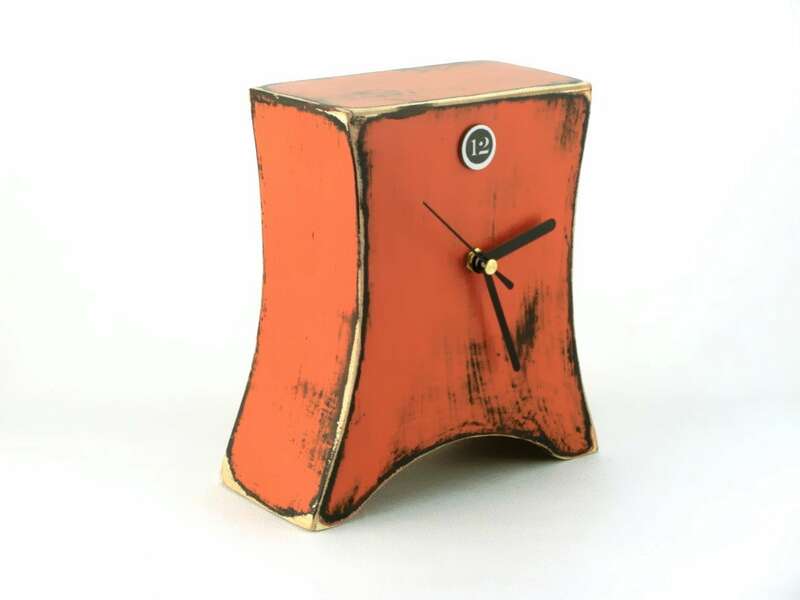 My beautiful orange clock arrived in about 10 too many pieces when I retrieved it from the Post Office. I immediately messaged the seller with a photo of the damage. The seller, while very apologetic, referred me to the Post Office and instructed me to collect the insurance on the package. Even though it was clear that the item was poorly handled, I was unable to claim the insurance on my end as a buyer. I informed him of this. He also offered to drop a replacement mechanism along with instructions for assembly. This replacement has yet to be received and I’m going to have to pay out of pocket to have it repaired. I run an Etsy shop myself and am well aware of the challenges with shipping. Sometimes these things happen. But I’m very disappointed with the handling of this transaction from a customer service standpoint.